December is a great time to list your home in spite of what you might have heard. A big reason is the nice assortment of Ocean Ridge Plantation real estate that is currently on the market. It’s drawing in many buyers and listing your home among them will help to bring traffic to your door and that’s exactly what you want to do. You can count on the people looking at Ocean Ridge Plantation real estate this time of year to be serious and committed buyers. They likely have a goal of closing before the end of the year to get the tax deduction on interest, closing costs and possibly the move itself. It’s a hard time to not have your own home and so those shopping at this time very much feel in limbo between where they presently are and the house they hope to ultimately be in, possibly in time for Christmas. The holiday season brings out emotions and feelings of nostalgia in buyers, which may help them to make a purchase more quickly. 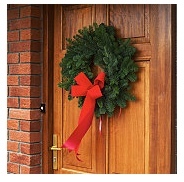 When you stage your home during this time of year try to make it feel as holiday as possible without overdoing it. Keep in mind that less is more and very tasteful. Another reason this is an excellent time of year to list your home is because of inventory being down. Buyers have fewer choices and that means the homes that are on the market will be in higher demand. And that’s right where you want your home to be, just give Jayne Anderson a call at your convenience at 910 279 4001 or toll free 800 450-3684.